Home » How to remove » Potentially unwanted programs » How to remove WinThruster (Win Thruster) fake system optimizer? How to remove WinThruster (Win Thruster) fake system optimizer? WinThruster is a fake system optimization tool. Its method of infiltration into computers are illegal. Users never take the direct part in installation of this hoax. Its entry into your PC is a result of the activity of some Trojan horse which injects itself on your vulnerable computer. You’re dealing with a serious potentially unwanted program which must be immediately deleted. WinThruster takes control over your computer once it enters it. It hijacks your browser and doesn’t allow you to use it for visiting legitimate sites. Furthermore, it amends your system settings in order to be self-started on your computer together with Windows operating system. Speaking about this very cleanup supposedly rendered by this program we can assure you that this is a fake promise on its part. This application has been simply designed by hackers in order to scare users and trick them into buying the registration key of this hoax, which is absolutely useless when it comes to rendering real security services for your computer. 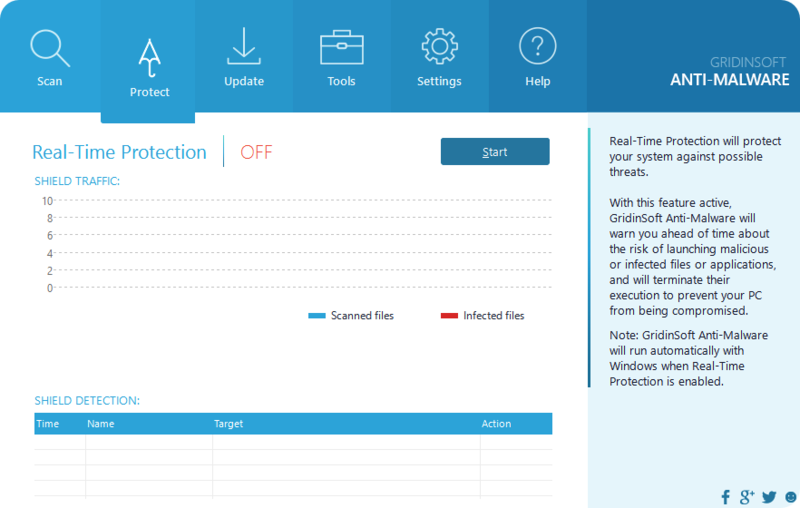 WinThruster fake antivirus starts scanning your PC each time you turn it on. Again, this is a fake scan which is just the imitation of a real one. The same thing can be told about the report that follows after this bogus scan. The hoax claims to detect all kinds of infections on your PC, which in reality are just invented threats which don’t even dwell on your system. 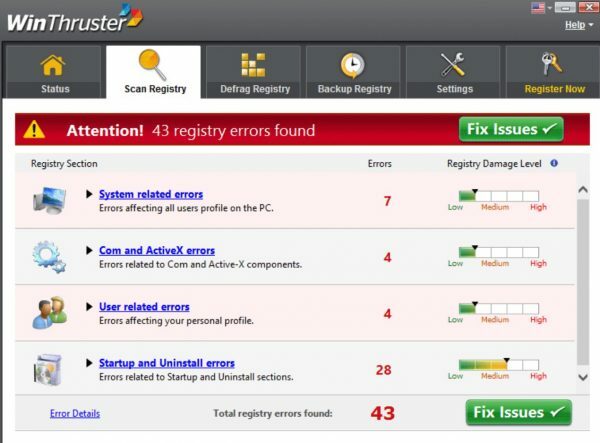 This fake scan of WinThruster, as well as its fake security alerts, have the only thing in mind – to make users buy the so-called full version of this program, which is totally incapable of becoming the security guard for your PC. So, please ignore all fake information reported by this scam. It is what it claims of itself. READ WinThruster potentially unwanted application. How to get rid of WinThruster? Removal of WinThruster scam isn’t an easy undertaking. 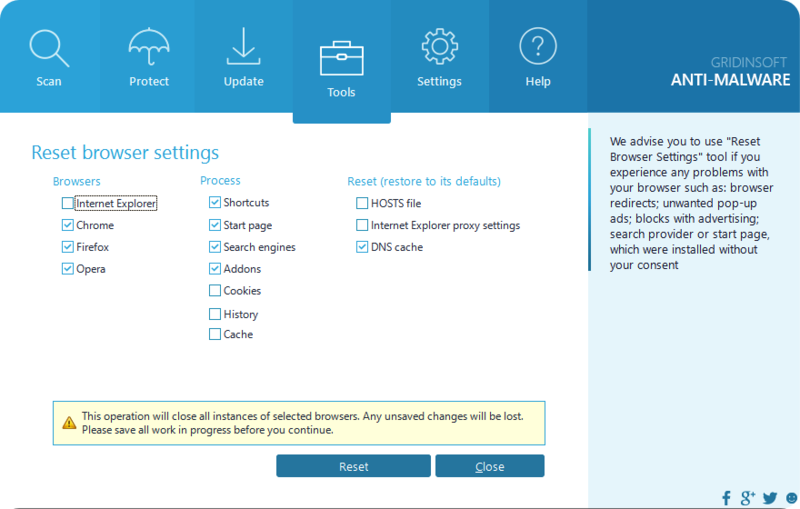 It creates all kinds of barriers for you when you attempt to delete it from your PC. 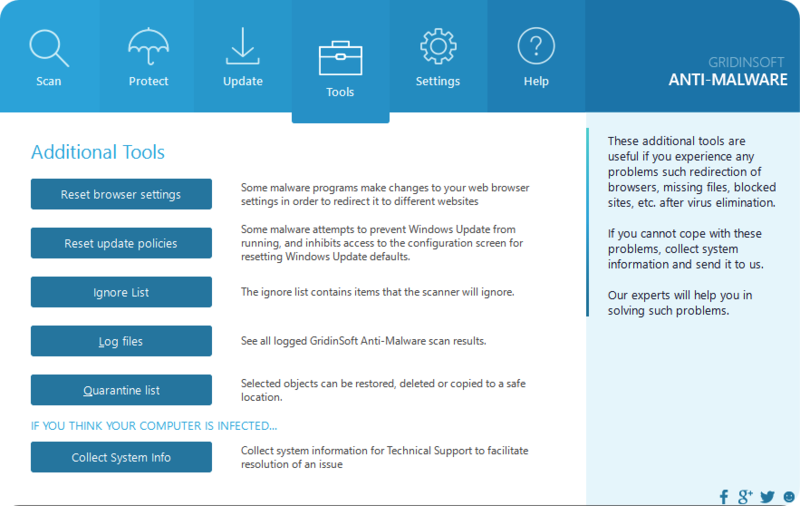 When you start any antivirus program you already have installed on your PC the hoax will report it as infected. The same problem occurs whenever you try to download other security programs online. For effective removal of WinThruster scam we recommend you to refer to the uninstall instructions provided by us below. 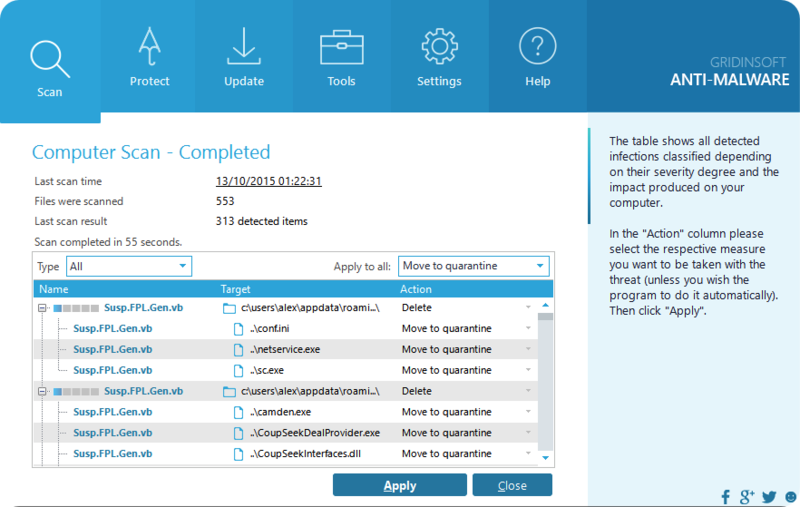 Download GridinSoft AntiMalware and scan your PC with it. How to prevent your PC from being contaminated with WinThruster virus again in the future.